It may look simple, just press the button and talk with the world, but even I still scared of doing it. Once I think about all those technical stuff I need for that, what I’m going to talk about and that everything should look great, then I postpone doing my live videos. If you are a perfectionist you’ll understand that. But Ian Anderson Gray made it so simple. 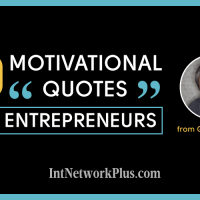 He is a confident live video marketing coach and founder of Seriously Social. He is an international speaker and blogs and live streams about social media and live video tools. 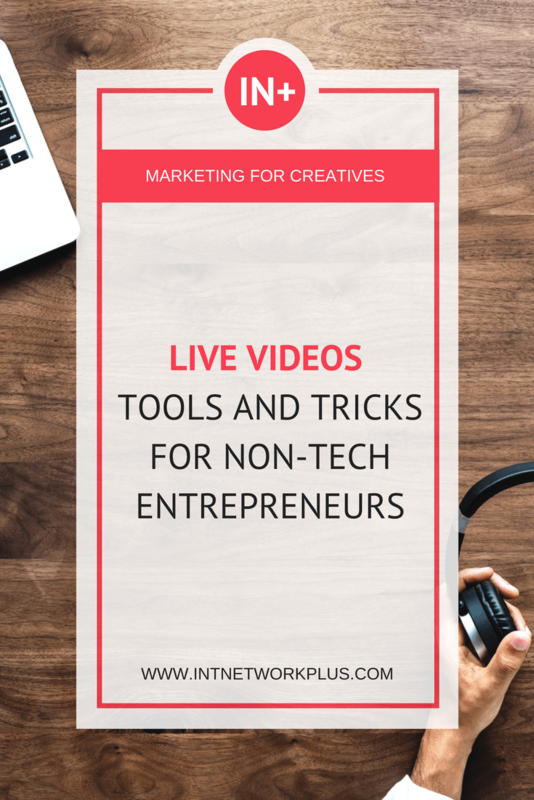 In this episode, Ian shares his tools and tricks to work with live videos that will help you to rock with the live show even if you are a non-tech entrepreneur. 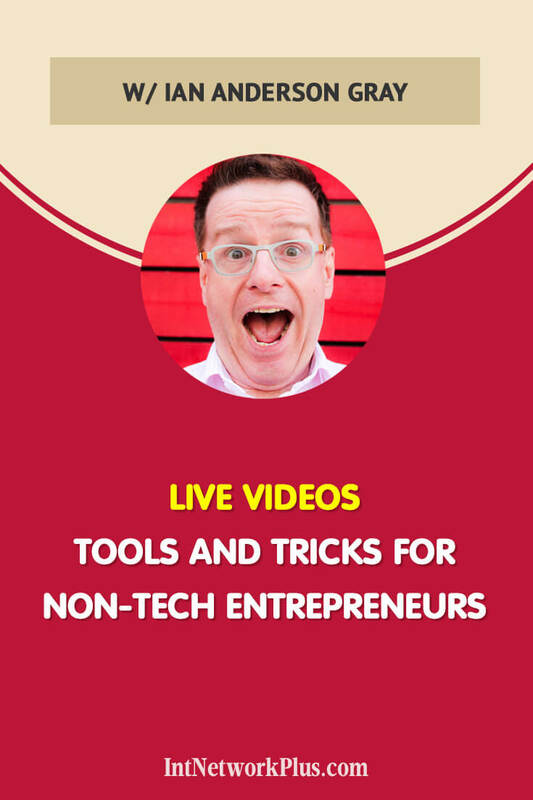 Ian has a passion for making the techno-babble of live video marketing easy to understand. It’s so awesome to have you here. We’re excited to hear your entrepreneurial story. Please share it with us. It’s kind of feels very strange. Because I didn’t start out with the idea of becoming an entrepreneur. I actually trained as a musician, to begin with. I’ve always been interested in music. I trained as a professional singer at the Royal Northern College of Music in Manchester in the UK. But I’ve always been interested in technology. When I finished that, I found that I would love websites and building websites. I started building websites for my musical colleagues. My dad retired at the same time so we set up a web agency building websites for musicians. The problem was musicians didn’t really have very much money, so we needed to diversify a little bit. I still run that business today is called Select Performers. We maintain and we manage websites for our clients. But I started my other business, which is to do with live video really. Back six or seven years ago I started blogging. Then discovered live video. I’ve found that that’s live video is this combination of technology which I love with performance with helping people to get in front of the camera with that performance skills. I found that live video is this really wonderful combination of all the things that I love. 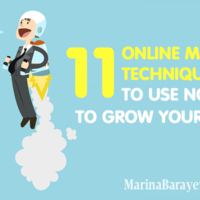 The way I really got into it was two or three years ago when I launched my first course on live video and that went really, really well. Also published a blog called… which is all to do with publishing, broadcasting from your computer to Facebook live. Which went completely mad. It’s had over a nearly 4 million page views since I launched that, which kind of blows my mind. Wow, that’s a lot. And you know, that’s interesting. A lot of our guests, before we’re kind of creative entrepreneurs and then transitioned to technology stuff. You choose live videos. Why are they so popular? More and more people get to that. For podcasts, you can listen to it anytime. For live streaming, you need to be at this specific time and the place with the good internet and you need to be on spot. Why live videos? I think that I love podcasting, I love blogs and I definitely think that I’ve got a lot of time for those things. But the thing about the live video is that it allows you to be real and human. You can share what you’re thinking about at a particular time. You could share your thoughts and your fears in front of people. It’s also a great way, if like me, you are a total perfectionist, it’s a great way of getting content out there. Because, you know, blogging changed my life. I didn’t really share that, but I blogged for ages and that launched my speaking career and did so many things for my business. But the thing with creating a blog, it takes a huge amount of time and effort. At least for me because I create blogs that are very, very long and detailed. But with live video, once you’ve got the technology sorted, once you know what you’re talking about in your plant, it is just a case of going live and communicating your message to your audience. And not only that, but your audience get that full access to you. They can ask you questions. That for me is amazing. I love that because it’s a way that I can get to know my audience and I can talk with them. I could even bring them to the show where we can have a chat. Yes, there are some downsides. As you said, you have to be watching it live and you have to be… What was the other thing? You have to have a decent internet speed I think you said as well. But I think all those other things really make up for that. The final thing is actually you don’t actually have to watch it live. Yes, people will watch you. You do want people to watch you live, but many, many more people will watch the replay afterward. The live video on Facebook, Instagram and YouTube becomes a regular reap video for replay afterward since. We’ve got to treat… It’s like two kinds of a video because it treats it like a live video but also as a regular video as well. Think about the different audiences. We’ve got our live audience and we’ve also got our replay audience for later as well. Basically, when you create live videos, you think about two types of content, live videos and then you can repurpose it, you publish on the same platform or we could repurpose to YouTube or Facebook or Instagram to another platform too, right? Yeah, there’s a number of things that you can do. For example, if we take Facebook as an example, when you go live to Facebook as soon as you end that live video, you get the choice for that to be published as a regular video on YouTube. It makes sense most of the time to do that. One, when you do that, then if people have missed that live video later on that evening or the next day, they can go back and watch it. You’ve not really done any repurposing. It’s just there ready for people to watch. But of course, what you could do and if you structured it really well, you could download that video or use a tool that that actually creates a good high-quality video of that and then take out the beginning bits of the live video and maybe a second another segment in the middle where you’ve been talking to your live viewers, and then repackage it for the likes of YouTube. Because of course, when do you think the live video, you’re going to want to greet your live viewers. But that can end up being quite boring for the replay viewers for later. It’s good to maybe kind of cut that little bit out and then upload that to the likes of YouTube for later. But whenever you do these live videos, I think it’s really important to think about the two audiences. You almost have to put yourself on a bit of a time machine and think about the people who are watching now, but also the people who are watching later. One thing I do is I always say to people who are right at the start, the people who are watching your video right at the start, but not your live viewers, they haven’t had the chance to get on the show. You actually talking to your replay viewers, the people who are watching later. Then give it a few more minutes and you can then start to welcome your live audience. That might be the best that you can cut out if you’re going to then repurpose that for other platforms. That’s interesting. You said you’re a perfectionist as many other people, but the live videos you just have to do as it is. Well, I think you’ve just got to be open and honest about if you are a perfectionist and not everyone is, but a lot of people are, you’ve just got to do it. You’ve just got to realize all the excuses that you’re coming up with are probably excuses that are getting in the way of you actually just launching the live video. For me, the big issue that I had all the excuse. The excuse that I had was I thought I needed to get all the tech sorted. I needed to have a lot of decent lighting. I needed to take a really amazing camera. I needed to have my, big thing for me, was my backdrop. I mean my backdrop is still not exactly what the way I would like it to be. But you see that’s the thing! The really funny thing is that people actually don’t really care that much about your background and your lighting. The person that cares the most about that is you. 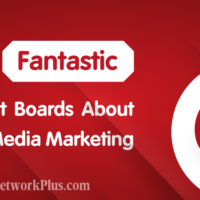 People are really interested in your content, your message, and you. Yes, okay. Lighting is great. I teach people how to get the right lighting, get good cameras and get good microphones and audio, all those things. I’m not saying they’re not important, but they can get in the way. It’s the number one excuse people come up with for not doing live video. I’m a total expert on this because right at the start I kept on coming up with this is my number one excuse for not doing a live video to show. 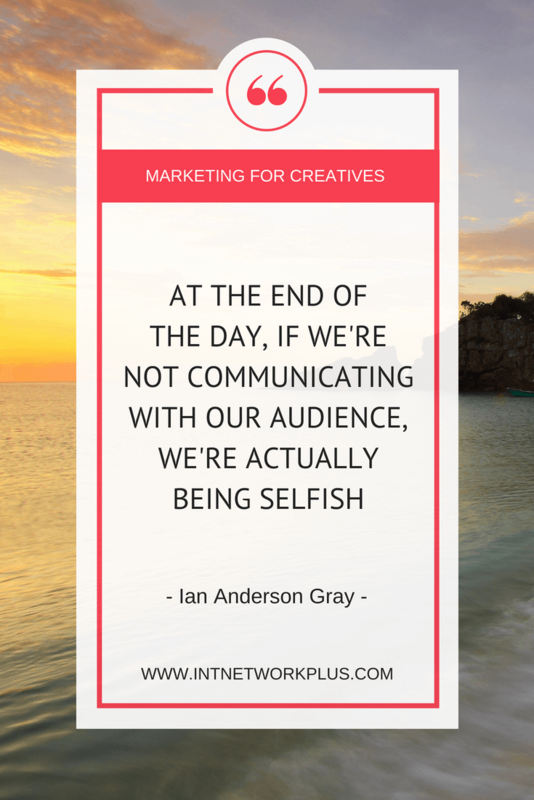 Because at the end of the day, if we’re not communicating with our audience, we’re actually being selfish. We’re coming up with these all these excuses for trying to make things perfect and a lot of people out there that needs to hear from us and we’re not giving them what they would like to hear. I always have excuses don’t do live videos. I better do the recording so I can rerecord several times, but live videos… I didn’t know. And you talk about all of this equipment. What do you use or what would you recommend? One of the great things about live video is it can’t be perfect. It’s one of the best ways to get rid of perfectionism syndrome. I call it perfectionism syndrome, which many of us struggle with. I think it’s a great way to consider that because it’s not going to be perfect. It just isn’t. Just start simple. Start really simple and the best thing to do is just get one of these. It’s called a smartphone. A smartphone, whether it’s an Android phone or an iPhone, it doesn’t matter as long as it’s in a reasonably modern. If it’s been like in the last three or four years. The second thing that you need is a good Internet connection. Particularly the upload speeds. So two things, basically. Make sure that you have a good phone and good Internet connection. Check your speed before you go live. I use an APP called Speed Test and make sure you’ve got an uploads speed. An upload speed is the most important thing because you’re broadcasting. Make sure that that is at least 4Mb/sec. I know that sounds a bit technical, but just make sure that that is all sorted. That’s the only two things that you need to go live. Yes, you could invest tens of thousands of dollars in a state of the art live video studio, but don’t to begin with. Just try it out on your phone. Then I’m a great believer really in bootstrapping your live video studio. When I first started I didn’t actually have the opportunity to go live from my phone because at the time it wasn’t available. The only way I could go live with was from my desktop. So, I just went live on my desktop. I didn’t really have a decent a Webcam, but then I decided to invest in a webcam which cost about $70. The Logitech C920 it’s called. But if you can’t afford that, then just use your integrated webcam. Then I got lighting later. I didn’t start off with lighting. And this is the microphone that I had, I only got that last year, so I’m building it up over time. Do not use the tech as an excuse to not go live because there are plenty of people out there with really quite cheap tech that are going live and they’re really killing it. I’m sure people will ask. What’s your microphone? This microphone that I got here is the Heil PR40. This is kind of the microphone I’ve been dreaming about for ages and I’ve been saving up for ages because it’s not cheap. I think it’s like $350. It’s the one that many people use for sort of the high-end podcasters use for podcasting. It’s not necessarily what I’d recommend for live video. There’s some very… just the Audio Technica microphone, which is about $70-$90. I don’t know exactly. There’s also the one that I was using before, which was the Blue Yeti microphone, which I still use today. That’s very, very good as well for live video. Don’t overthink it. I particularly like that one as it looks nice, also, the sound. For the sound is really good, particularly if you’re wanting to do podcasting as well as live video. And what about the headphones? I just use a regular. I know some people use the big, big headphones, but I think for a live video you want to have something that’s not too in your face. You want something that’s not too intrusive and that doesn’t get in the way. I don’t think it matters too much, but definitely wear the earphones or headphones, because you don’t want to have any feedback or any echo. You mentioned before that you get some lighting. What did you get? These are not particularly cheap, but I went for… I forget what the name of these. I gonna have to look at them. It’s the Neewer. So it’s spelled N-E-E-W-E-R. The three of them. These are LED lights. I would always recommend trying to get three if you can afford it. The reason I went with LED lights is because I’ve got quite a small office. I didn’t have enough space to buy the cheaper softboxes. You can buy three softboxes probably for under $100. Maybe even cheaper than that. These were in pounds, about 250 pounds. It’s probably more like 300, just over $300 for the three. But it’s also there as well as being quite small in the amount of space they take up, they were also very… what’s the word I’m looking for… they don’t let us as much heat as some of the other ones as well. You don’t need to go for that. If you’re broadcasting during the day, there is a really good alternative to that. It’s called a window. So yeah, you don’t have to always go for the top tech to begin with. Why three lights? You put one on the right side, left side. Where is the third one? If you do a Google for three-point lighting, you’ll find out it’s about this there. Actually, at the moment, I haven’t got it set up perfectly, but you have one that is in front of your, slightly to the right, that’s your main lights. You’ve got one over to your left. And then you’ve got one which I’ve struggled to fit in my office, but it supposed to kind of lights behind you as well. It just creates a much better effect than just having to in front of you. Also, if you want to go down the green screen effect, which I would definitely not recommend for beginners. But if you wanted to get to the green screen, you can get these green screen backgrounds. You can get a really, really good effect where you can take away the background and you could make it look like you’re flying through space or you’re in a very, very posh apartments. You could have an image behind of you as well. So having a decent lighting for that is really important. Why wouldn’t you recommend it? I have a friend who just filmed a video with a green background. One of his first videos and it looks pretty awkward. (Laughter) So why wouldn’t you recommend it to people? The reason why I wouldn’t recommend it to people is… well, for a number of reasons. The first thing is it could well be another excuse for you just trying to get everything perfect to begin with. Remember, it’s your message that people want to listen to. You might then be spending another couple of weeks perfecting your green screen sets up when actually you should just be getting on with the live video. And the green screen, unfortunately, is a bit tricky to set up. I’m sure we’ve all seen those videos where it looks really, really fake. You’ve got this kind of like green silhouettes around the person. If you’ve got them in my hair, it would probably all be lighting up at the moon if I didn’t set it up correctly. I think you’ve just got to be careful. By all means, play around with green screen. But I’ll do that later on once you’ve actually started broadcasting live. I have played around with it, but it’s not something that I particularly want to go down. I do help clients with it, but it’s something that’s I just think is unnecessary for my setup. Yeah. Better make it simple and just do live videos. Do you do live videos right from your phone or you use any other extra services? You said, we need to buy a web camera, but before you said we can use just our phone. Yeah. Just use your phone to begin with that. That’s a really simple way of doing it. And I’ve already said this, but make sure your internet speed is really, really good. But the other thing that you can do is you can plug a microphone into your phone. The one that I use, which is probably somewhere here, I can’t find it basically is a lover, a lapel microphone… Lava… I can never say the name. Lavalier microphone. Is that the right one? I cannot pronounce it either. (Laughter). I know this but I cannot say it. Yeah, I’m having a brain freeze. But anyway, those microphones. You can plug them directly into your phone. I use the Rode SmartLav+, which works really, really well. The only thing, just bear in mind if you’re doing a live show with another person, with the guest then you need to also make sure you get a little adapter that allows you to plug your earphones into that as well. Audio quality I think is much more important than your video quality. Make sure you get that really, really sets up properly. Then the other things you can, obviously, lighting is important. Make sure you’re in a well-lit place. You can do other things. You can set it up on a tripod. On a tripod that works really, really well. Or you could buy one of these Gimbals, such as the… which one have I got? I’ve got one called the Smooth Q Gimbal. Which basically what that means you can, if you’re doing moving around, you put your phone in this what’s called this Gimbal. It’s a stabilizer, so it gives you that really smooth effect. But you don’t need to. I mean these are things that add to your expense. If you want to then go from your desktop, which I think is definitely worth considering, then you can use a live video tool for your computer. This allows you to do so many really, really cool things such as you can add graphics, you can add lower thirds, which for example will show your name and your title. You can share your screen. You can show a video and so many things. This is actually how I started off with live video. I used a tool called OBS Studio, which is available for Macs and PCs. It’s a little bit tricky, but if you’re particularly a PC user as well, worth considering OBC Studio. If you’re a Mac user, I highly recommend using or looking at Ecamm Live. Ecamm Live is an amazing soul. 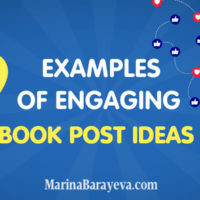 It’s very, very easy to use and allows you to bring in guests, to highlight your Facebook Live comments and add videos, images and things like that. There are loads of tools out there. I could bore you to death with this. Be Live is another one. There’s vMix. I could go on, but there are loads of different tools. Depending on your situation, your sets up there’ll be a tool for. I saw some people do live videos to multiple networks, for example, for Facebook, for Instagram at the same time, or maybe several others. How do they do that? That’s a really good question. Again, this is like the green screen, do not start off with this because this is really difficult to achieve. One of the big problems with this, of course, is that you’re not just focusing on one audience and one set of comments to deal with. If you’re going to Facebook and Instagram and periscope and YouTube, you’ve got all people will be leaving comments hopefully on all these different networks. How are you going to make sure that you’re keeping up to date with all those? The first thing to say is, technically speaking, Facebook doesn’t want you to do this. In their terms and conditions, they say that’s the API, which is basically that the way that tools can connect with their live video platform, they don’t allow those tools to use that to get to go live to Facebook and other platforms. But they don’t say you can’t do it, something that you’re not allowed to do it. There are ways around this. The other thing to say is Instagram at the moment at least, only allows you to go live to the mobile app, so you can’t technically go live to Instagram and on any other platform at the same time. You will have to match your phone in front of you and go live to that and then separately go live to Facebook or YouTube, but at the same time. In answer to your question, how do you do it? From a desktop, you can use a number of different services for this. There’s one called Joicaster from Switchboard Live, which is the one that I use. There’s also one called a restream.io. These are a little bit more technical. But if you’re using a tool such as Wirecast or OBS Studio, one of these live video tools and your computer is powerful enough to be able to live stream you can, instead of putting Facebook live as your destination, you put restream.io as your destination or you put Joicaster as your destination. Then in those tools and Joicaster or restream.io, this is why it’s a little bit complicated in those tools, you then set your destinations there. For example, I could go live to Joicaster. Then Joicaster will take that stream and will broadcast to wherever you want. It could be a periscope, it could be Facebook and YouTube all at the same time, which is really, really cool. That’s something that I have done quite a few times. It’s quite fun to do. It can be problematic across, as I say because you do need to make sure that you are monitoring all those comments and all those different topics at the same time. The final thing is just if you aren’t wanting to broadcast to Facebook as well as other platforms, then these tools will not be free for you. You will have to go on one of our paid platforms. (Laughter) Well, you could do that. That’d be interesting. I know people who’ve gone live to Facebook and an Instagram. They’ve got two phones in front of them. I think it’s possible to do. But of course, one of the things that I think a lot of people struggle with is when they go live on the phone, they see a big image of themselves on the screen. Not that we’re narcissistic necessarily, but we end up looking at ourselves because we see a big image of ourselves. And we forget that actually, the camera is slightly off to the right or the left. What ends up happening, and you may have seen this when you see somebody go live, they’re looking slightly away from the camera. It’s kind of like this. If you’re watching this video at the moment, I’m looking directly above the camera. I’m not looking at you. It looks slightly weird. I think when you’re doing a video to Instagram and another network, then at certain points, you’re not going to be looking at the camera of that audience and so you’re not going to be as engaged. So better just recorded the video and then to repost to other platforms so people would see the video there? So many technical things and it always takes a lot of time to get comfortable with the new media. As you said, we’re perfectionists, not everyone but many of us and we need to deal with all of those technical tools, try do not put too much effort in that and just start doing. But could you please give our listeners three main steps that people can apply after listening to this episode, how they start using live videos for business? You need to have a reason for going live in the first place. Don’t just go live for the sake of it either needs to be a strategic reason for it. As we’ve talked about the positive reasons for going live there. I think they are fantastic. 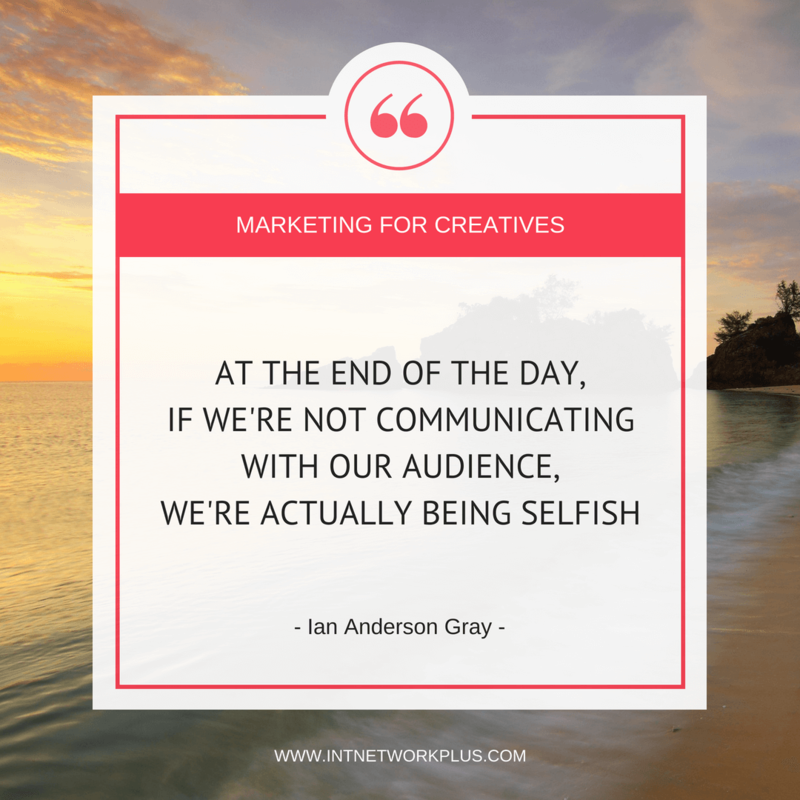 It’s fantastic to be able to engage with your audience and to grow your tribe, grow your audience that way. 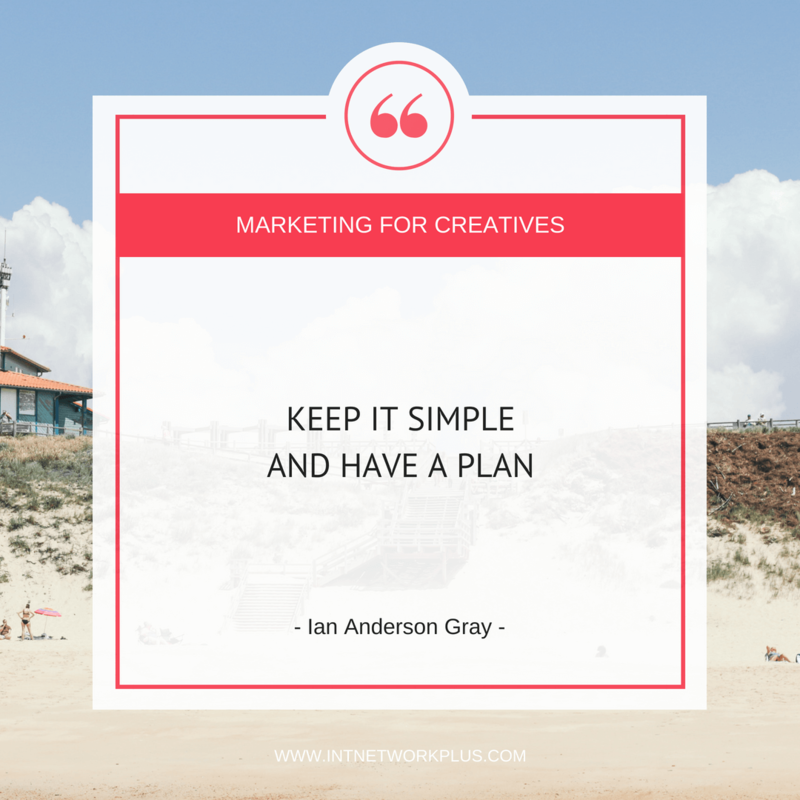 But if you’re going to start, then make sure you keep it simple and you just have a plan. You know what you’re going to talk about to begin with. 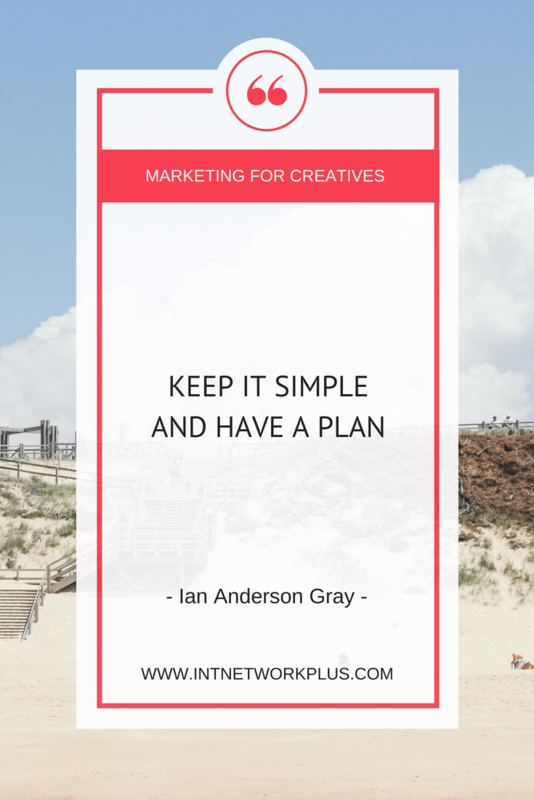 As you would with any other platform, if you’re creating a blog, then you make a plan. You work out what points do you want to make in that block. Same with a live video. Make sure you plan that. Second thing. Make sure you keep it simple to begin with and go for it. Just go live. What I would suggest that you do is find other business owners, other friends out there who want to do the same and join together in a group. Say, you’re going to go live for the next week, every single day you’re going to go live. That’s how I learned how to be consistent, how to sort that tech out and how sort the content out. I challenged myself for, how many days was it, for 12 days. And in fact, I went live two times a day for 12 days. And things went wrong, but I learned from that experience. Whatever it is, just make sure you go, you say you’re going to go live for the next week or the next two weeks and join with other people and learn from the experience. Definitely, do that. The final thing really is to make sure that you then promote it. You need to tell people when you’re next going to go live. Put it on Twitter. Put it on all your social networks. Tell people when you’re going to go live. And the great thing about that is that once you’ve told everyone else about it it means you have to do it. (Laughter) So that’s a really good way of getting on with it. Exactly. And then you’re scared at the last moment. What do you do with your plan? Do you just put there your main points or you just put everything, all your script? I’m glad you mentioned that, because I’m going to be totally honest with you, most people who go live get scared. I still get scared before I go live and I think that’s a good thing. When I think back on my career as a professional singer, one of the best concerts I ever did was when I was feeling absolutely petrified before I went on. I went on stage and the adrenaline kicks in and delivered one of my best performances. So if you are feeling nervous, know that you are not alone. It’s actually a natural thing would be feeling. But make sure you’ve got a plan to be together so you know what you’re going to say, you’ve got your three points and you’ve got the tech sorted. But if things go wrong, do you know what? People are very forgiving. 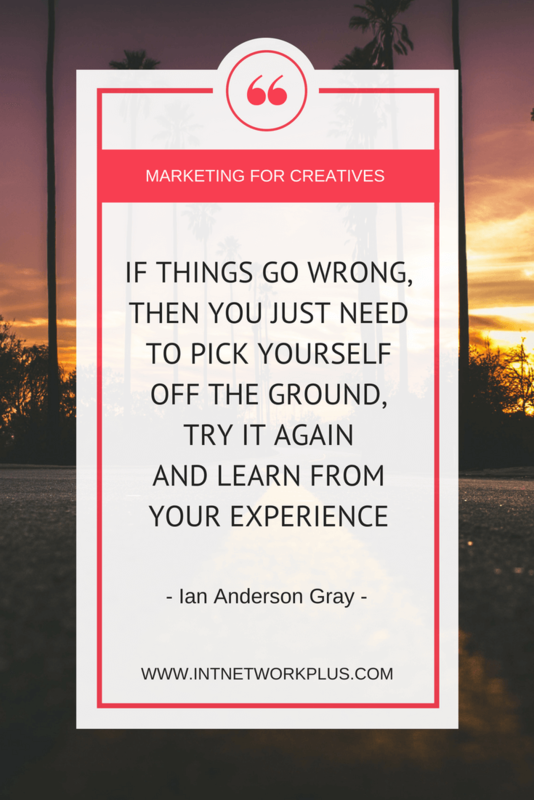 If things go wrong, then you just need to pick yourself off the ground and try it again and learn from your experience. Because it’s one of those things, it’s part of the learning. The learning experiences you go through these. So just go for it. As I say, if you’re doing it in a group with other people, then that makes it a lot easier to a private group. Don’t go live to the whole world to begin with. Go live to just a group. Or even before that on Facebook, if you go to the mobile app on your phone, you can change the privacy settings to only me, so just go live to yourself. Test that out first before you go live to the whole world. And then it’s far less scary. But don’t try and be perfect. Well, yes, ideally, I would recommend that you do look, watch it back. But if you’re like me and like most people you’re probably will be cringing when you watch it. You think, oh my goodness, I don’t sound like that. I don’t do that, do I? Yet, when we analyze our own performances, we quite often do that where we’re ultra-negative. I think we need to be… the first thing you need to say to yourself is come up with three things that you did well in that live video before you then get onto the criticism and work overtime. Ultimately, it’s the message that’s important. That’s far more important than the delivery. The delivery will get better over time. Fantastic. 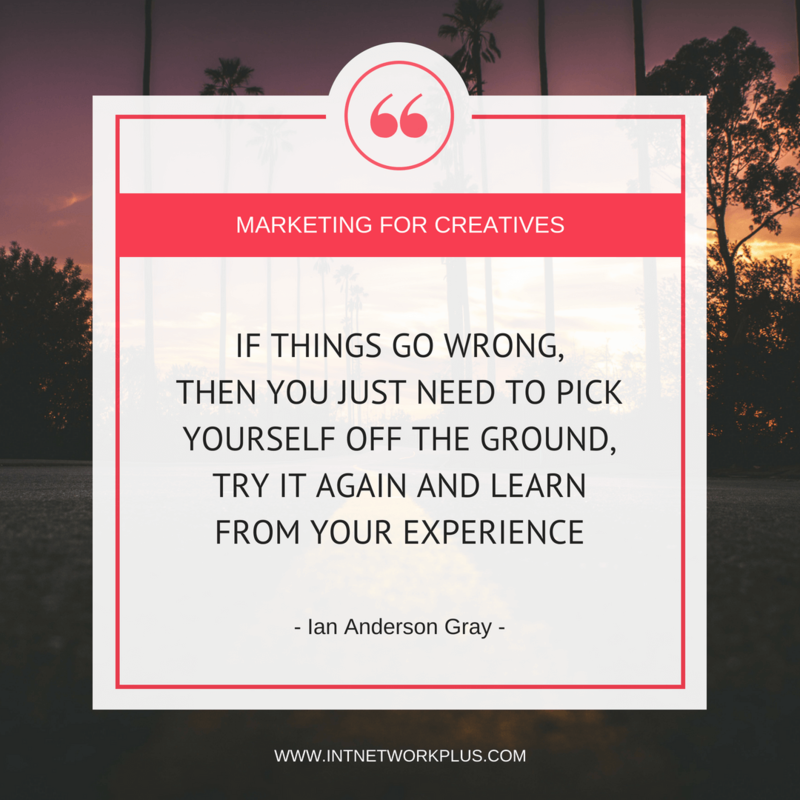 Thank you, Ian, so much for many amazing tips. Please share with us how can we connect with you and find more about you. I’m kind of found myself a scattered over the social media and the Internet. You can find me at IagDotMe. That’s I-A-G-D-O-T-M-E on twitter. My website is iag.me. And if you go to iag.me, there are loads of blog posts on live video. I’ve got a course the Confident Live Marketing Academy which helps people on how to be confident with all aspects of live video as well. So, hopefully, I can help you there too. Fantastic. Thank you so much, Ian. It was great to have you on the show. It has been great. Thank you so much for having me.